It seems that with the faltering economy, and uncertainty in business, more customer's are leaning towards companies that are geared towards broader service options or "one stop" services! In the building maintenance and custodial industry - facilities manager's have the "nightmare" of dealing with a wide array of specialized vendor's offering many different services (depending on the facilities and personnel size. Oftentimes shopping and vendor relations can be "hell!" We're a lot more than just a cleaning service. Though one of our primary focuses is commercial custodial services; we also provide a wide array of support services for customer's in trade areas such as - light handyman, carpentry, lawn care, windows, and hard floor referral services. Many of our customer's have noticed the added benefits of having practically all of their facilities needs taken care of under one service provider. Because of this diversity in service, we have experienced a booming increase in customer satisfaction, and employee satisfaction. JAS would like to recognize a special business associate's within our organization. Cyntana Franklin & Christina Davis! Cyntana Franklin has worked for JAS since the day the company opened as a very young teenage - AND CAN DO IT ALL, when it comes to cleaning, servicing accounts, floors, training, and working with customer's. She has worked in all areas of the company and in this industry, and is a valuable young female executive in the cleaning industry. This year she will be Co- heading up our Operations and Training Departments. She'll do a great job, and you'll see alot of her in the field visiting customer's. Christina Davis has been working with JAS for around 4 years now, and has helped with everything from cleaning accounts to office assistant. 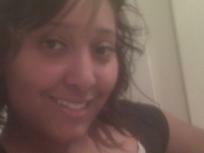 In addition she has worked for one of our janitorial customer's as a Transportation Billing Clerk. Her drive and dedication helps JAS to get the job done. Maintenance is a good way to prolong the life of any appliance in your home. Once you buy an appliance, you should take full responsibility to take good care of it and maintain it so that it will always give you the best performance. Here are some simple tips to clean your appliances. Remove stinky odors in your refrigerator by placing two container-full of used ground coffee inside. A washed charcoal can absorb the bad odor in your kitchen. Instead of buying deodorizer, fry a cinnamon to remove bad odors in your home. A burnt interior of microwave can be cleaned by placing it in a glass container, put a cup of vinegar and water and let it cook for 3 – 5 minutes. After that, wipe the stains out of the microwave. To clean your dishwasher’s inside, you can put some vinegar in and at the bottom of the dishwasher. Aside from that, rinse the aid dispenser. Wipe off the dirt after washing. Greasy and oily stove burner can be cleaned using a towel soaked in hot water with soap and use this to wipe off the dirt. Never wet the electrical connections. Using hot water with a cup of bleaching agent, fill the washing machine with it and let it complete a cycle. This will keep your washing machine clean. Always keep your appliances at good working condition, exercise a good cleaning for each appliance. Janitorial Assistance Services Training Workshop. Call now and start learning about the many rewards of working in the janitorial industry. Get your seats now! We appreciate your trusting in our company and its reputation to provide reliable and professional janitorial services. For those customer's who increased their services with us - we appreciate you allowing JAS the opportunity to prove our diversity in services, and hope that you will continue to feel confident in us. JAS has started a new service that will allow janitor's to not have to deal with contracting companies (if you choose). 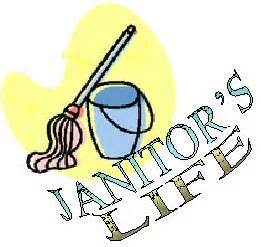 Out new services will reveal training on the JANITORIAL SECRETS CONTRACTING COMPANIES HAVE KEPT SECRET FOR YEARS! Once you go through our 3 day training seminar, you will have a far better understanding on how to succeed independently on your own. You will also be brought into a network of many other janitorial professionals working to a avoid subcontracting, that work with and help each other independently excel. We can also build you a four (4) page website to help your online presence in social media promotional and advertising outlets. You'll Be Glad You Did. Go make ALL YOUR MONEY! And Keep It All for Yourself ! Marketing a service business is not at all like marketing a product - based business - it's much more difficult. You have to solve someone's problem. They would like nothing more than to unload their problem onto someone. Lets try for you. A service business takes on other peoples problems to solve them. These days more and more customer's are referring our services to branch locations, business associates, and homeowner's. When we surveyed our customer's, we were told that its not only the services we provide, but the relationship that we take the time to build between our customer's, management, and crews! We are told by customer's that our crews are caring and take pride in making sure their facility is presentable at all times. We are also told that when our office is called by customer's that we come running! These are the types of compliments that accommodate our services. We take great pride in receiving our customer's approval of satisfaction. THANK YOU SO MUCH FOR YOUR TRUST IN US! That's right! Hotels, floors, and stores. Last year 2017, JAS had an excellent year for work calls for the JAS floor teams in the areas of hotel floor maintenance, stripping and waxing VCT tile floors for retail, and general floor work to regular customer's . - Hotels: usually contact us for carpet cleaning, scrubbing and polishing floors. - Stores: usually contact us for seasonal cleaning, and holiday cleaning. 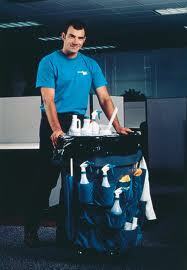 - Janitorial Customer's: usually contact us during the summer time for carpet and floor work. The thing that makes this so impressive, is that it was consistently requested floor work. For JAS - it means that most all our customer's that utilized our floor services continued using them! Our continual goal for 2015 is to expand our floor services to more hotels, motels, retail stores, and janitorial customer's. To all of the JAS customer's that utilized our floor services, we'd like to say THANK YOU VERY MUCH! Chemicals must be respected and taken seriously. There are many hazards associated with chemicals. Through chemical misuse and mishandling, injuries, fires, explosions, and even deaths can occur. Chemical safety is extremely important. Employees in the cleaning industry must be informed about chemicals in the workplace prior to coming in contact with them. General safety training covers an array of safety topics including hazards in the workplace, employee responsibilities pertaining to reporting injures and workplace hazards, building emergency procedures, emergency preparedness, fire safety, first aid, electrical safety, chemical safety, heat stress, hearing conservation, eye strain, bloodborne pathogens and potentially infectious hazards, back safety, ergonomics, workplace violence prevention, and OSHA reporting requirements. General safety training is imperative for all organizations, no matter what the industry. This general safety training will be beneficial for all workers to understand and implement in their daily work activities. There is one call you can receive from an employee that will send a shiver down your spine perhaps more than any other: "I got hurt." The implications to this call can be HUGE. Of course, you are concerned about the immediate well-being of your employee. No reasonable person wants to see another human in pain. 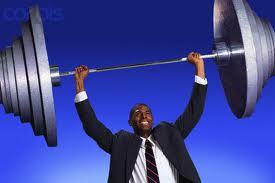 Typically, most injuries in the cleaning business are not life threatening. Cuts, sprains, falls, and other minor injuries are common, and easily treated. Fortunately, most injuries just need some first aid and perhaps some time off. Customer Service ! Its Our Job! - Periodically inspect your facility, and maintain an open door to communications with our manageme nt and crews. JAS is always ready to go the extra mile for both our janitorial customer's and our crews. By maintaining proper working relationships between all parties, your expectations of us become our expectations of our selves!